One of our favorite restaurants, Orange Table, constantly features local artists work. Most of the time we love what is on display, but it’s out of our price range or we can’t figure out where it would hang. But this past month, we found the perfect combination of great art, great price and a location desperate for something great. The artist for August was John Arvizu from Trapdoor Studio. 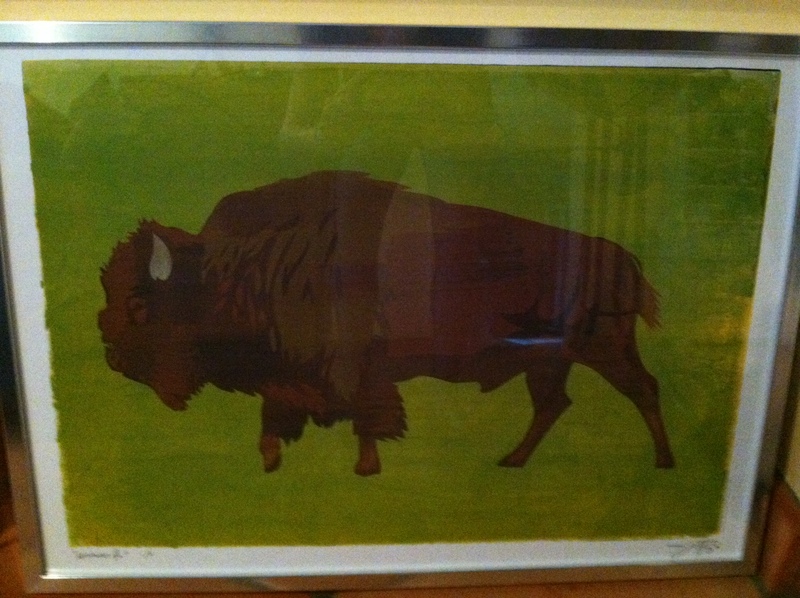 He featured several screen prints that almost had a pop art feel to them. I love this look, but this is not the style of our house and I was afraid they would look strange…but Peter’s office is totally devoid of actual art (except for the awesome oil painting of the Georgetown Law archway I had done as a graduation gift – awesome, yet lacking in funkiness). 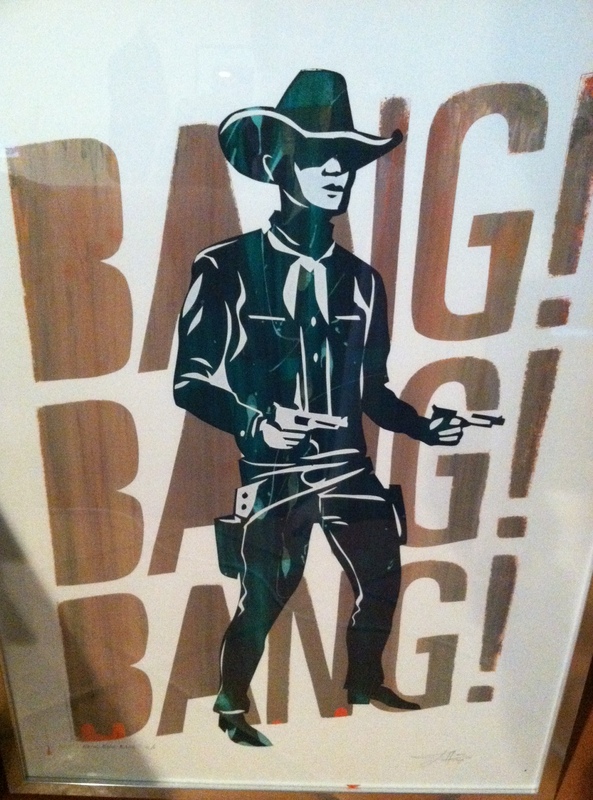 PW agreed that the cowboy print was perfect for his office. John has a great video on his website that shows the process that each print goes through from drawing the stencil, cutting it and then creating layers and layers of color, dimension and interest swipe by swipe of the screen. Be sure to check out the store section of his website – his prices are great for a one of a kind piece!